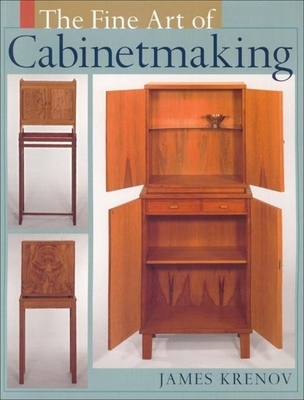 With continual themes of perfection of technique and building to the limits of one's skill, this authoritative resource provides in-depth instruction for mastering the craft of cabinetmaking. A bevy of topics, including the proper way to sharpen and hone tools, hollow grinding methodology, and obtaining proper grinding angles, are detailed in this comprehensive cabinet-making sourcebook. Lessons devoted to using and understanding various woods, including common or exotic pieces, learning how to read grain, and the pros and cons in working with air-dried wood versus kiln-dried wood, will educate any level of woodworker. Chapters devoted to resawing as well as problems and concerns due to moisture content and wood movement are also included. James Krenov is the founder and director of the fine woodworking program at the College of the Redwoods in California. He is the author of five books, including ""Cabinetmakers Notebook,"" ""Impractical Cabinetmaker,"" and ""With Wakened Hands."" He lives in Fort Bragg, California.